Credit Card Fulfillment is an absolute must for sales on the internet. First and foremost, research shows that credit cards increase the probability, speed and size of customer purchases…. by a minimum of 30%. Couple that with the ability to have a product tailored exactly to the customers needs/desires, you now have one hell of a powerful sales tool! 4000000000000002 Charge will be declined with a card_declined code. 4000000000000127 Charge will be declined with an incorrect_cvc code. 4000000000000069 Charge will be declined with an expired_card code. 4000000000000119 Charge will be declined with a processing_error code. When the model is configured and updated, that information is sent back to the cloud server where the pricing engine calculates all of the new cost variables based on the current configuration. When complete, the server sends the value back to the web page along with the new 3D model of your customer’s product (remember: this is not just for cabinets, any product can be configured). The new price is now displayed on the page for the customer to see. From here, they can reconfigure the product based on price or features until they have the product exactly as they wish. When everything is exactly how they want it, they can buy their custom designed product with the click of a button……. and the filling out of the CC information of course (which can be stored safely for return buyers convenience). The ability to allow customers to configure and purchase custom versions of existing products will save a great deal of your time by allowing them to fill in all of the blanks at their own leisure, and become comfortable with the pricing as they work through the design process and discover what the impact of certain options and design decisions have on the final cost. Live chat/monitoring where you can watch who is doing what on your website and/or add a live chat button to engage those potential customers that may be having problems. Save design capabilities for those who wish to take their time and get things right. Tool tips to carefully explain options and design limits. Make sure you subscribe to our blog (upper right as of this post) to receive updates as this fascinating series progresses. 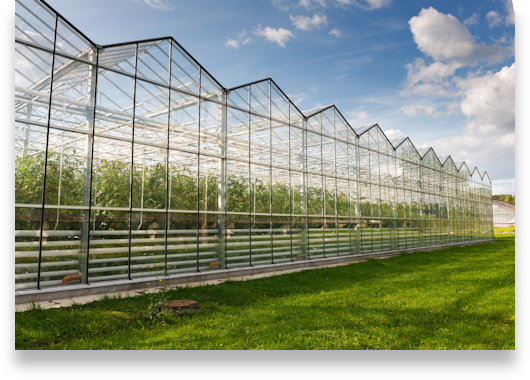 As we mentioned in our last post, at some point, we will be posting about an embedded configurator for custom greenhouses that can be configured small enough for a backyard to a huge green factory with a square mile footprint! If you want to get started on your own embedded configurator project (before the competition does! ), contact Cindy and we’ll get you up-and-running ASAP!